Michael Miller joined the Kyle House Group in 2014, with more than two decades of diverse experience in government, the private sector, international organizations, non-profits, and academia. He brings a first-hand understanding of how govern-ment policy is made and how it affects clients’ missions, markets and outcomes, both domestically and internationally. Prior to joining KHG, Michael served as Republican Policy Director for the U.S. Senate Committee on Foreign Relations for Senator Bob Corker. This was his second time serving on Capitol Hill: from 1995 to 2001, Michael was Senator Bill Frist’s senior legislative aide for foreign affairs, where he managed the Senator's work on the Foreign Relations Committee and directed the Subcommittee on African Affairs. Before returning to Capitol Hill, Michael founded and led a Washington, DC- and Research Triangle, NC-based consulting firm that served a range of U.S. and international clients on government policy, global health and development, international regulation, and international organizations. Since 2010, Michael has served an Adjunct Associate Professor of Global Health at Duke University. From 2001 to 2009, Michael served in several key policy positions in the Executive Branch and the White House. As a Senior Advisor in the office of the U.S. Secretary of Health and Human Services, he advised the Secretary on global health policy, health diplomacy, and international regulatory issues, and was part of the team that led the establishment of a permanent U.S. Food and Drug Administration (FDA) presence in China. As Deputy Assistant Administrator for Global Health at the U.S. Agency for International Development (USAID), Michael oversaw over one billion dollars of infectious disease and child survival programs worldwide, including the President’s Emergency Plan for AIDS Relief (PEPFAR). Michael also led the design, development, and launch of the President’s Malaria Initiative (PMI), which is recognized globally for its leadership, effectiveness, and accountability. Michael began his Executive Branch experience in the White House as Director for Africa on the National Security Council. While at the NSC, he also served as an advisor to the President’s Special Envoy for Sudan and as a member of his delegation. During his service in the Executive Branch, Michael testified as a lead Administration witness before both the House and the Senate. 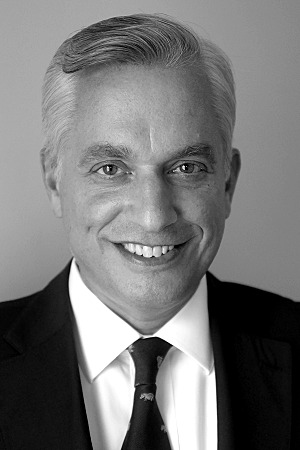 Michael has held positions in several international health organizations, including serving as an alternate U.S. Board Member of the Global Fund to Fight AIDS, Tuberculosis and Malaria; as a Member of U.S. delegation to the World Health Assembly, the governing body of the World Health Organization; and as the U.S. Board Member of the Roll Back Malaria partnership. Michael began his career with the International Republican Institute (IRI) as a democracy and governance advisor in Africa, traveling and working extensively across the continent. He received his bachelor’s degree with honors in geography from the University of Tennessee, and his master’s degree in political geography from the University of South Carolina. He and his wife, Martha, have two children.